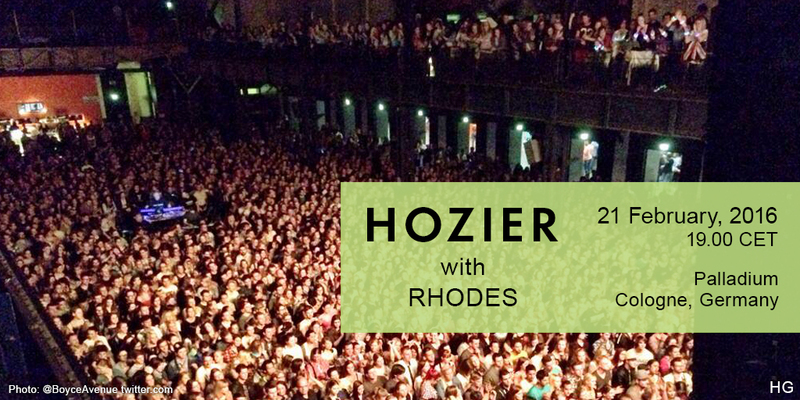 Hozier played the Cologne Palladium in Cologne (Köln), Germany on Sunday, 21 February, 2016. Rhodes opened. Capacity 4000. THE CALM BEFORE THE STORM: I'm in Cologne and just about to interview @hozier before he rocks this stage. Fans already queuing up outside. It's gonna be crazy. Feature Image: Anna-Maria Langer for Stagr.de. Tagged Cologne, Cologne Palladium, Germany, Köln, Rhodes. Bookmark the permalink.